Are home improvements tax-deductible? What improvements are tax-deductible? If you’ve recently renovated your home, it’s important to start asking these questions. And with April 15th just around the corner, it’s the time of year we provide some answers. First, let’s get to the most pressing question. Yes, but the answer to this question can be complicated. It comes down to what kind of project you’re completing, and whether it’s classified as a repair versus an improvement. Repair Versus Improvement: Which Is Which? Per the IRS, a repair is any modification that restores a home to its original state and/or value. “Some examples include replacing broken window panes, fixing a leaking faucet, fixing a hole in the carpet, replacing broken hardware, or replacing a few broken roof shingles,” says the TaxSlayer team. Home repairs are not tax-deductible, except in the case of home offices and rental properties that you own – but more on that later. An improvement is any modification that increases the value of your home. 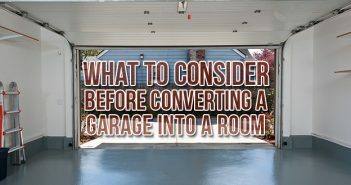 According to TaxSlayer, examples of improvements include adding a new driveway, a new roof, new siding, insulation in the attic, a new septic system or built-in appliances. Most improvements are typically tax-deductible, but only in the year that the home is sold. So if you made a home improvement back in 2007 and sold your house during 2018, any deductions you may be eligible for would be recognized on your 2018 taxes. Even if you’re not planning on selling your home in the next year, it’s important to thoroughly document any tax-deductible home improvements you make along the way. That way you can make the most of your upgrades when the time comes. If you’re unsure whether a repair or improvement is tax-deductible, or have other questions about filing, contact a local tax accountant for more details. What Home Improvements Are Tax-Deductible? A few tax credits for energy-related home improvements have gone away for the 2018 tax season. “Tax law changes reduced what qualifies for the Residential Renewable Energy Tax Credit, only leaving improvements for solar energy intact,” says TaxSlayer. “The new tax law states that credits for wind, geothermal, and fuel cell improvements are only good through tax year 2017. The solar credit will remain until 2019, and then it will be reduced every year through 2021.” Also, the Nonbusiness Energy Property Credit for energy-efficient home improvements is “no longer available, as of 1/1/18,” says Dawn Hryshko, president and founder of Cleveland-based CPA firm, Hryshko & Associates. However, putting solar energy systems on new or existing homes can still result in a 30% deduction of the total cost of installation. This credit is not limited to your primary residence and is even available for newly constructed homes. Keep in mind that most eligible improvements for energy efficiency can be credited – not deducted – within the same year. Are there any other improvements that can be credited or deducted within the same year? Tax-deductible home improvements for medical care can be hard to come by. But if you plan on aging in place, with a little help from your doctor, these deductions may apply to you in full. You can include expenses for medical equipment installed in your home if its main purpose is to provide care for you, your spouse or a dependent. The following improvements are considered fully-deductible expenses, as these are not considered to add value to the home. Building entrance and exit ramps. Lowering/modifying cabinets in a kitchen. Adding lifts to get from one floor to another. Installing support bars in a bathroom. Modifying fire alarms, smoke detectors and other warning systems. Check out Nolo.com for more details on medical tax-deductible home improvements. Did home office deductions go away in 2018? Not entirely, but home office renovations have seen some of the biggest changes in the recent tax law updates. Tax deductions for home offices are no longer available to employees who maintain a working space apart from their outside employer’s. But office updates can still be deducted for those who are self-employed or run their own businesses. For those who still qualify for this break, the good news is that both repairs and improvements can be eligible for tax deductions on home offices, provided they are only for the parts of your home used for business. Home office improvements are deductible over time with depreciation, and repairs are deductible within the tax year they are completed, since they are considered necessary for your business’s upkeep. Repairs made directly to your office (fully deductible). Improvements made directly to your office (fully deductible). Repairs made to other parts of the home (partially deductible). Some improvements made to other parts of the home (partially deductible). Repairs that directly impact your business space can be deducted in full (e.g. mending a broken window in your office). But if renovations or repairs benefit your entire home (e.g. heating and cooling systems or roof repairs), the deduction is calculated as a percentage. For example, if your office occupies 20 percent of your home, 20 percent of the renovation cost is tax-deductible. In the case of rental properties, the repairs versus improvements rules can get a little complicated. Repairs are classified as necessary to the upkeep of a property and are considered tax-deductible. Improvements, such as renovating a kitchen, add value to your rental property, and therefore depreciate over time. In short, this means the costs are deducted in concurrence with the depreciation of your property. Similar to home offices, rental repairs can be deducted within the year they are completed. Any upkeep necessary to maintain a habitable space for your tenants (fully deductible). Additions or upgrades to the property (deductible over time and with depreciation). Major home improvements, or capital improvements, increase your home’s value. These improvements can be tax-deductible when it comes time to sell your home. That’s why it’s critical to itemize and keep track of where money was spent, including the costs of labor involved. A new addition onto your home. Find out more about adding capital improvements expenses to the base cost of your home. Whether you’re creating a home office, renovating your rental property or completing a variety of home improvement projects, you can earn those tax deductions the DIY way. 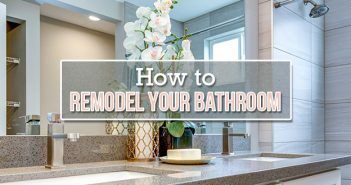 We’ve created The Exceedingly Comprehensive Guide to DIY Home Improvement to help even the most novice homeowner improve their home. 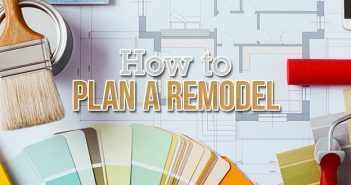 From making general repairs to completely remodeling your home, rely on this guide to help you through all phases of a project.